Place tomatoes, cut sides up, on baking sheet; sprinkle evenly with half the cheese. 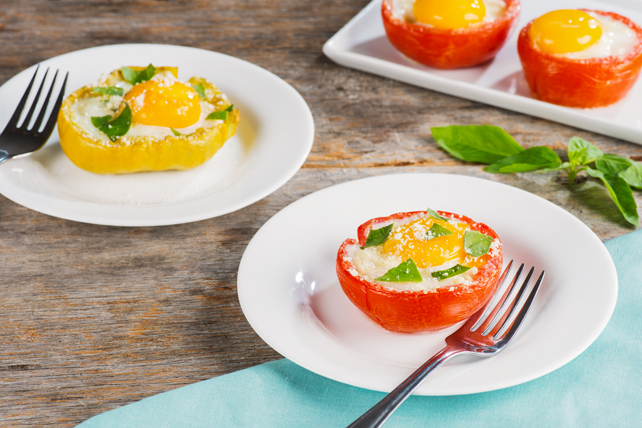 Slip cracked egg into each tomato half; sprinkle with remaining cheese. Bake 20 to 23 min. or until egg whites are set and yolks are cooked to desired doneness. Sprinkle with basil. Prepare using Kraft 100% Parmesan Light Grated Cheese.